The Yamaha YDP103R Arius Series Digital Console Piano is the most affordable piano in the brand's popular Arius line of console pianos. It's designed to place the features of Yamaha's popular digital keyboards in a piece of attractive furniture, giving you the experience of playing an acoustic piano with all the convenience and advanced features of a digital piano. But is it worth the investment? Who is the Yamaha YDP103R Arius Series Digital Console Piano Most Suitable For? 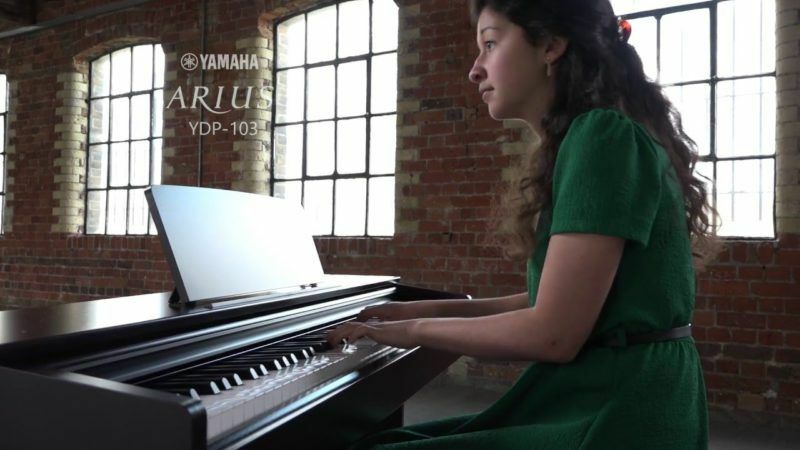 What's Included with the Yamaha YDP103R Arius Series Digital Console Piano? With its GHS weighted keys, AWM sampling, and realistic pedals, the Yamaha YDP103R Arius Series Digital Console Piano is designed to give you the look, feel, and sound of playing an acoustic piano in your own home. But its digital capabilities, including app integration, recording and playback, polyphony, and instrument voices offer musical possibilities that go far beyond what an acoustic piano can do. The Yamaha YDP103R is the exact same keyboard as the popular Yamaha P-45 model, but without the portability and in a handsome console. To make things a little more confusing, when ordering online, the Yamaha P-71 is ALSO the same keyboard as the P-45 and YDP-103R, just in an Amazon exclusive model at exclusive pricing. To make a long story short, you could purchase the Yamaha P71 from Amazon at a much lower price than the Yamaha YDP103R, and still have the exact same keyboard sound, features, and playing experience, but without the console. Compatible with Yamaha music apps, including Digital Piano Controller, Visual Performer, My Music Recorder, and the Piano Diary. The Yamaha YDP103R Arius Series Digital Console Piano is designed for someone who wants a good digital keyboard in a handsome console at an affordable price. It offers good sound, nice learning capabilities, and a good playing experience, in an attractive furniture-style console. It's perfect for people who played piano in the past and want to take it up again, a music student to practice and rehearse with, or simply people who want to share their love of music in a casual setting. It's also a great option for halls, classrooms, and event spaces, where music can be created and shared without investing too much in an instrument that needs care and tuning. The Yamaha YDP103R Arius Series Digital Console Piano comes with a furniture-style bench. 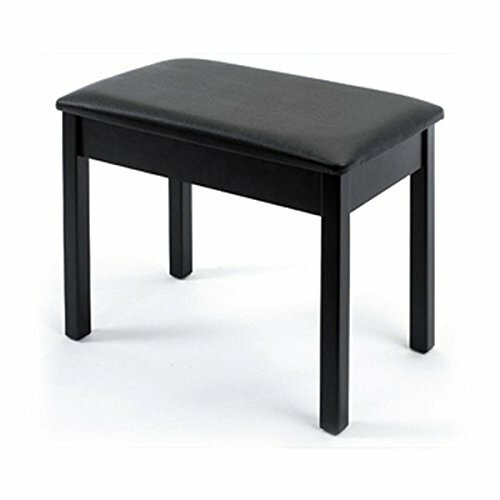 However, the bench does not have storage like many piano benches do. The Yamaha YDP103R Arius Series Digital Console Piano comes in a handsome console with the real wood look of a piece of furniture, and a matching bench, for a stylish accent in your home. Touch sensitivity can be adjusted for hard, medium, or soft playing, or touch sensitivity can be disabled altogether. Advanced Wave Memory (AWM) sampling is Yamaha's classic sound engine. Sound is captured with two pairs of microphones, for left and right waveforms that give deeper, richer, and more spacious sound. It also has 4 levels of reverb and chorus effects, including Room, Hall1, Hall2, and Stage reverb settings. Dual mode allows you to layer sounds together, such as piano and strings, and play two instruments at once with every touch of the keys. Polyphony is an indication of the instrument's ability to play multiple sounds at once. While a maximum of 64 is an ample quantity for most needs, some voices use 4 or more elements at once, and that's before you begin sustaining and layering in complex sounds. When the polyphony is exceeded, some sounds may decay prematurely or even cut off abruptly, so it's a good idea to not exceed maximum polyphony capabilities. USB out allows you to connect the YDP103R to your computer or mobile device for recording and playback using compatible apps, so you can also use your favorite software to edit, mix, and share your songs. 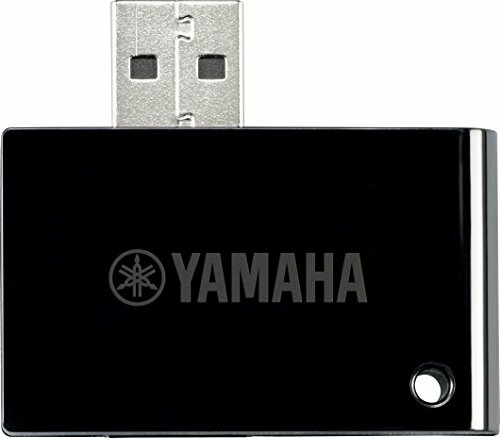 The Yamaha YDP103R also doesn't have onboard memory for recording or playback of your songs, so you can use the My Music Recorder and/or the Piano Diary apps to record, playback, store, and share your music as you progress. The Yamaha YDP103R will automatically shut off after a period of inactivity, in order to conserve power. You can adjust this feature or disable it if you prefer. The 88-key keyboard is full size and fully weighted. Graded hammer standard key weight technology has a heavier touch on the low end of the keyboard, and a lighter feel in the high notes, just like the feel of an acoustic piano. Practicing with standard size, correctly weighted keys builds proper finger technique that translates easily to an acoustic piano. The matte black keys on the Yamaha YDP103R are treated with a matte finish so they do not get slippery during extended play. It has a library of 10 piano voices, allowing you to change the entire sound of the instrument on demand. Built-in voices include grand piano, electric piano, organ, harpsichord, vibraphone, and strings. The transpose function allows you to control and adjust semitones, and is perfect for accompanying a vocalist. Unlike an acoustic piano, the Yamaha YDP103R never needs tuning, but you can still use the fine tuning feature to adjust the pitch of the entire instrument. This ability is useful when you play along with other musicians or pre-recorded music from your own song library. 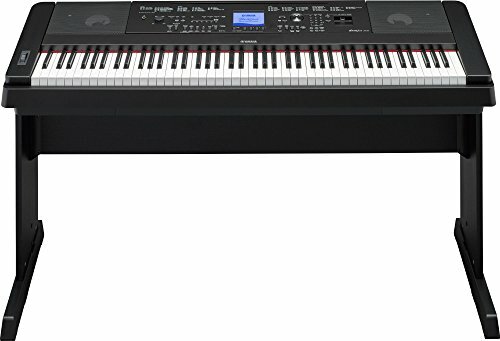 The Yamaha YDP103R's Duo function splits the keyboard in half, so two players can each have a 44 key keyboard and their own middle C. This is perfect for piano lessons, allowing teacher and student to sit side-by-side play at the same time, mirroring hand motions and positions, and use the built-in metronome function to keep time. The Yamaha YDP103R doesn't have a built-in screen, which helps keep the slim, acoustic look of the piano, but would otherwise make it necessary to refer often to the manual in order to access and customize many settings. 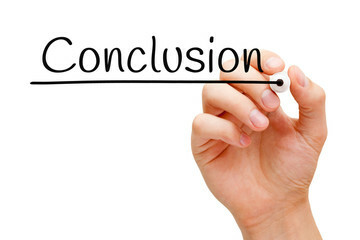 However, using the digital connective capabilities of the piano along with the Yamaha Digital Piano Controller app, all those functions can be accessed, controlled, and customized using your iPad or iPhone with touchscreen ease. The Visual Performer app “listens” to your music and creates mesmerizing animations based on the notes and tempo of your playing, adding a mini light show to your piano performances. 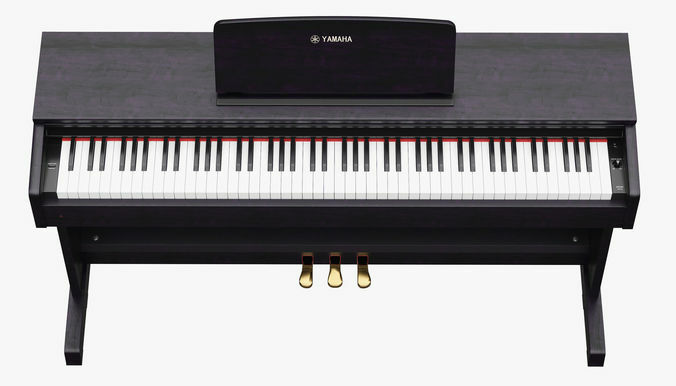 While Yamaha is smart to make a more affordable console piano, it's a bit of a challenge that they simply placed a lower-priced keyboard into a console. The fact that it is identical in sound, features, capabilities, and playing experience to the more affordable P71 is a drawback. 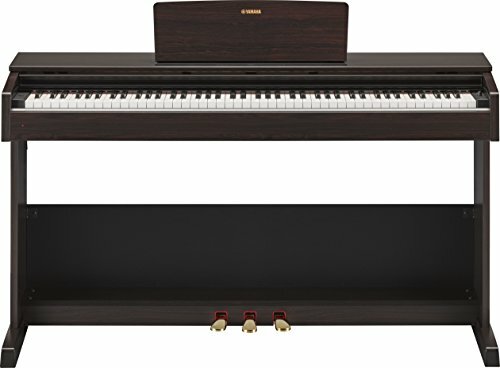 The obvious alternative to the Yamaha YDP103R Arius Series Digital Console Piano is simply to purchase the Yamaha P71 digital keyboard from Amazon and then get a stand, bench, and pedals as separate accessories. Purchasing the keyboard by itself gives you more versatility and options with portability, and you can choose the piano playing setup that works best for you, without being weighed down by a console. Or, if you really want an exceptional Yamaha digital piano, in a console format, in this price range, it's worth taking a look at the YDP-S34. 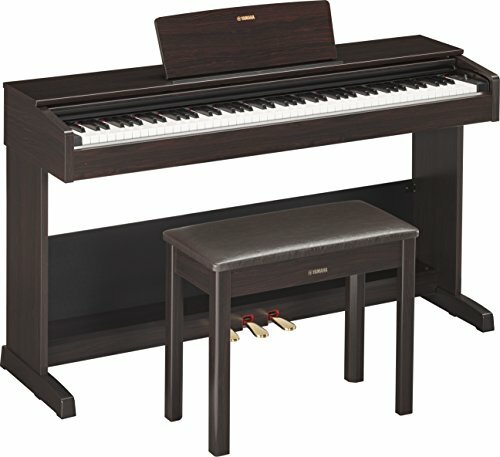 Like the YDP103R, the YDPS34 has the look of a traditional piano, with a wood finish, and three pedals. It also has a fully GHS weighted keyboard, and realistic pedal behavior. It's a slimmer console, that is a few inches shallower and a couple pounds lighter than the YDP103R, designed to fit into a smaller space. But it's a newer Yamaha model, and has some features well worth considering. While the YDPS34 is a new model, and therefore doesn't have the history and legacy of older Yamahas, it's an excellent compromise in an affordable console, and the new CFX sound engine is superb. It would be a smart consideration against the YDP103R. Because the YDP103R relies on apps and iOS devices to provide some functions that are lacking in the piano itself, and because it's easier to access and modify many of the piano's settings in the Digital Piano Controller app than using the buttons on the keyboard, a Bluetooth adapter is highly recommended. The Yamaha UD-BT01 is compatible with this device, and removes the hassle of managing USB cables while working with your digital piano. The Yamaha YDP103R combines their most popular portable keyboard and an entry-level console, for their most affordable console piano with their most in-demand digital piano features.